Let us dive into the article and learn facts about AGI, MAGI, IRS, Student Loan Deduction. After reading it you will recognize your taxable deduction on your interest. When Tax Cuts and Jobs Act came into place in 2018, many people thought that student loan interest deduction will be eliminated. Fortunately, Federal Government Consider that millions of American students have loan debt. If they eliminate tax deduction from student loan interest then it will be a huge burden for them. So, tax deduction on student loan interest is still in place. The amount which is charged when the borrower makes an application for a student loan from a particular lender. Interest is usually calculated as a percentage of the unpaid principal amount. Interest is different from loan to loan. If the loan is subsidized or unsubsidized then for both interests will be charged differently. You will get relief when we say you can get tax benefit on your student loan interest. To enjoy this benefit you need to have a qualified student loan then you can deduct the interest you paid on the loan during the tax year. The amount covered per return is $2500, each year. So if you're single you can deduct your interest rate till $2,500 but if married and you meant to file a joint return then you and your better half can only deduct at total fo $2500, even if you both have student loan debt. When you apply for Federal Direct Loans or a student through the private lender you will be given a Form 1098-E. this is called a student loan interest statement. This statement gives you information about the interest you paid throughout the year. 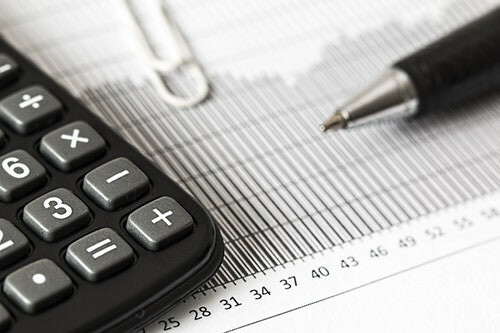 When you reach you modified adjusted gross income (MAGI) amount reaches the annual limit for your filing status your deduction is gradually reduced and eventually eliminated by the phaseout. This government agency was established in 1862 by president Abraham Lincoln. It is responsible for the collection of taxes and the enforcement of tax laws. United States Department of the Treasury has authority for this agency. The primary objective of the IRS is to collect individual income taxes and employment taxes. Tax deduction on student should be qualified by the IRS. To qualify for the student loan interest deduction, you need to be enrolled in an eligible institution under the rules of the IRS. After calculating your MAGI, you need to check whether it falls under the threshold where it begins. If it falls under it then you can deduct up to $2,500 in student loan interest or actual sum of interest you paid. If your MAGI come within the phase-out range than your limit will be prorated. If it falls within the range of income then your credit must be reduced. Find out the reduced deduction. To understand more understand the explanation below. Multiply your interest deduction before the phase-out, it should not be more than $2,500 by a fraction. MAGI is your numerator minus $65,000 or $130,000 (in case of a joint return). 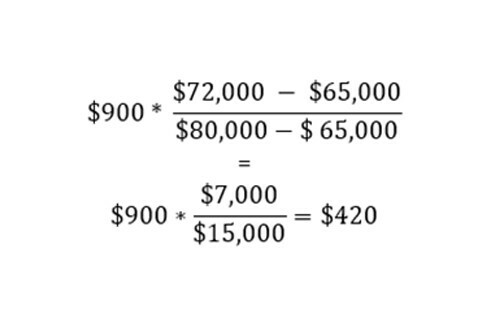 $15,000 or $30,000 (in case of a joint return) is your denominator. Now whatever result comes, subtract it from your deduction (before the phase-out), the final sum is your deduction. If you have an income more than the ceiling where the phase-out ends you won't be able to deduct student loan interest. To qualify for the student loan deduction, you need to consider the following points. Your student loan should qualify according to the norms of the IRS. The loan should have been taken by the taxpayer or his/her spouse or his/her dependent. Purpose of the loan should be strictly on the basis of education. Student needs to be enrolled at least part-time in a degree program. A loan should be applied to have a motive to repay and it should be used in the given time. Loan amount should be used for educational expenses within 90 days before the academic period starts and 90 days after it ends. Usually, loans from relatives or qualified employer plans are not qualified loans. The loan amount which is used for tuition, fees, textbooks, supplies, and equipment needed for coursework, and more, are qualified under the interest deduction program. Where room and board, student health fees, insurance, and transportation are not qualified cost under this program. Your college or university has to be an eligible institution. All accredited public, nonprofit, and privately-owned for-profit post-secondary institutions should be engaged in student aid programs managed by the U.S. Department of education under the rules of the IRS. The benefit you can get from the student loan deduction program is up to $2,500 annually, on the interest paid for your student loan. If your interest is not more than $2,500 than the actual amount of your interest will be deducted. If you're paying $600 as an interest on your student loans then you will receive Form 1098-E from the lending institution The form will contain the borrower’s name, address, and unique taxpayer identification number. Interest deduction is limited to your income. If your income exceeds by $80,000 or $160,000 (in case of joint filing) you are not eligible to be the part of student loan interest deduction program. If your income is in between $65,000 and $80,000 then your deduction will slowly reduce until you reach the upper limit. In other words, you get qualified to deduct $2500 if your AGI falls below $65,000. 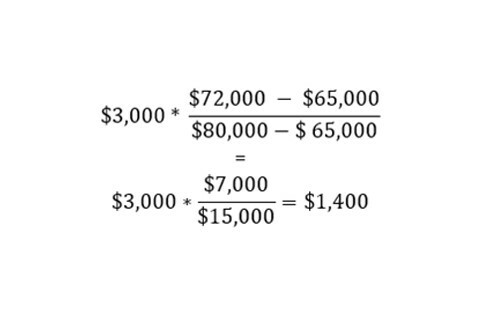 If your income falls under $65,000 to $80,000 then the limit falls. This is the same for joint filing (income between $130,000 and $160,000). If Mr. A is having a MAGI of $72,000, he paid interest on his student loan was $900. $900 (student loan interest) - $420 = $480. In another case, if the MAGI is higher than $72,000, his deduction will be lower than $480. If Mr. B was paying $3,000 as total interest payment, as we know the maximum deduction is allowed under the student loan interest deduction program is only $2,500. Let us see what is his maximum deduction. Now as we know the student loan interest deduction will be $2,500-$1,400 = $1,100. This way you can decrease the burden of your student loan. If you want more details regarding student loan interest deduction, the IRS has introduced a new 1040-E tax form. It comes with all the information regarding deduction on your tax returns. Do consider to consult a tax professional, this way you can skip all the headache regarding your tax returns. 1. Can you deduct student loan interest in 2019? 2. Can the IRS take my husband's tax refund for my student loans? If you have applied for federal tax refunds as a couple and filing your taxes jointly, the tax offset applies to both of you regardless one person owes a debt. However, your husband can file an “injured spouse” claim to recover their share of the offset that was withheld to the IRS. Eligibility criteria to be considered as an injured spouse you must have paid federal income taxes or claimed a refundable tax credit. You shouldn’t be the one who is responsible for the debt which created the offset. 3. Can a parent deduct student loan interest? No, parents cannot help their child to pay the student loan interest. they can only do it when they are themselves liable for the loan. The Internal Revenue Service is a body established by "positive law" because it was created through a congressionally mandated power. 5. What is the IRS mean? U.S. Government agency which is responsible to collect taxes and introduce tax laws to U.S. Citizens. 6. How much of student loan interest is deductible? 7. Can I deduct my son's student loan interest? If you have taken any Parent Loan or your child is depended on you then you can otherwise you can’t deduct your son’s student loan interest. 8. What is the 1098 E form used for? The 1098-E form is a student loan interest statement which is used to report interest of $600 or more paid to a lender for a student loan. 9. What is the main purpose of the Department of Education? One of the U.S. Government Body which is established to design policies, administer educational institutions and manage almost all the federal assistance to education and introduce federal educational laws regarding privacy and civil rights. 10. What is the difference between AGI and Magi? AGI and MAGI are almost identical. The factor which differentiates both that AGI is your income less some adjustments and MAGI is your AGI with the addition of some deduction.